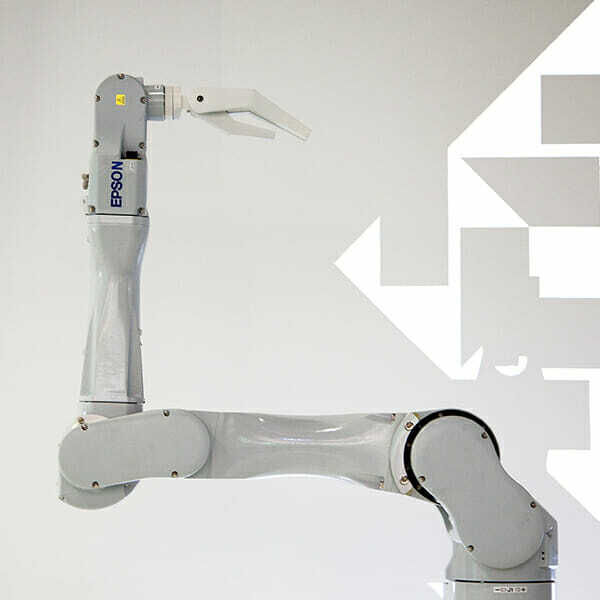 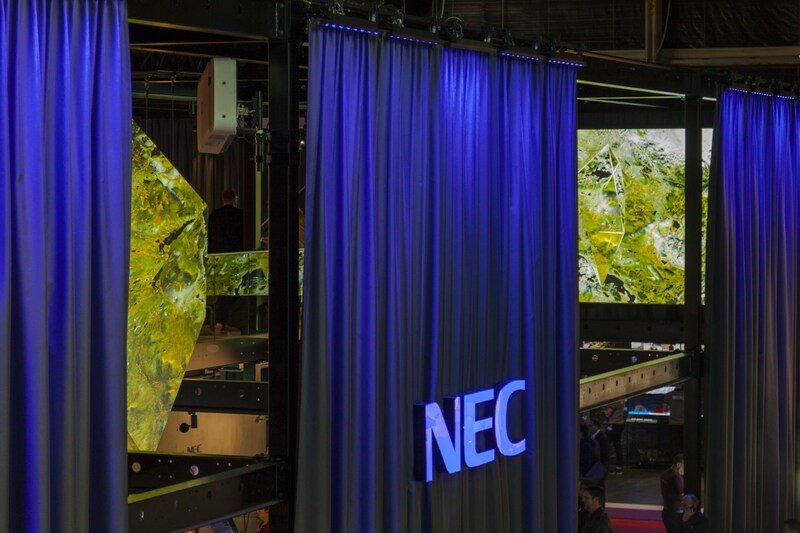 DIAMOND is a two-part media installation that has been developed for NEC’s 2018 ISE fair-booth. 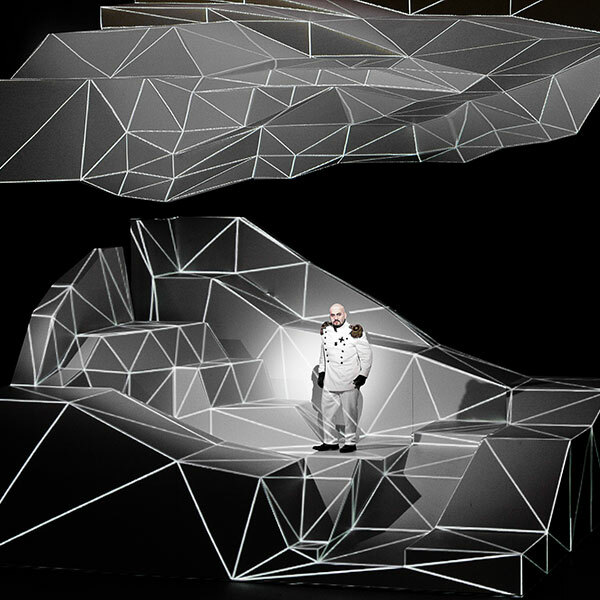 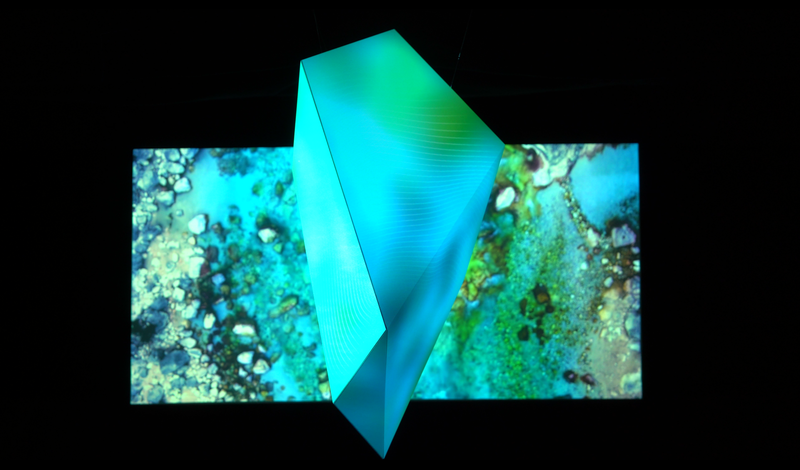 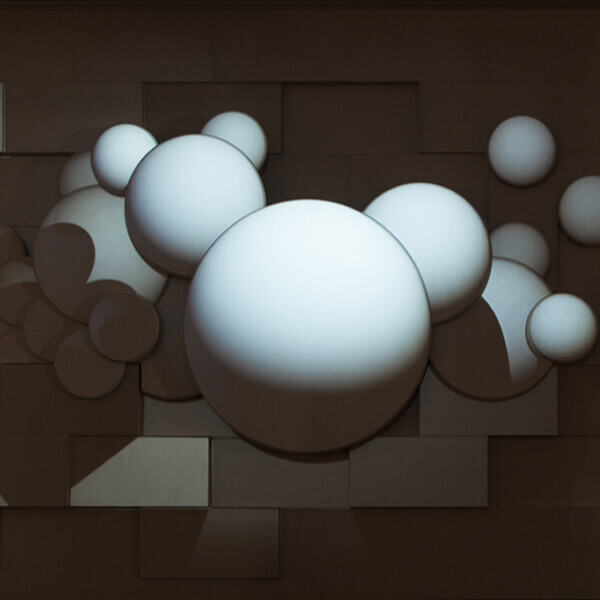 A floating polygon sculpture with an object-specific projection mapping was installed to correspond with a 4k-resoultion projection screen. 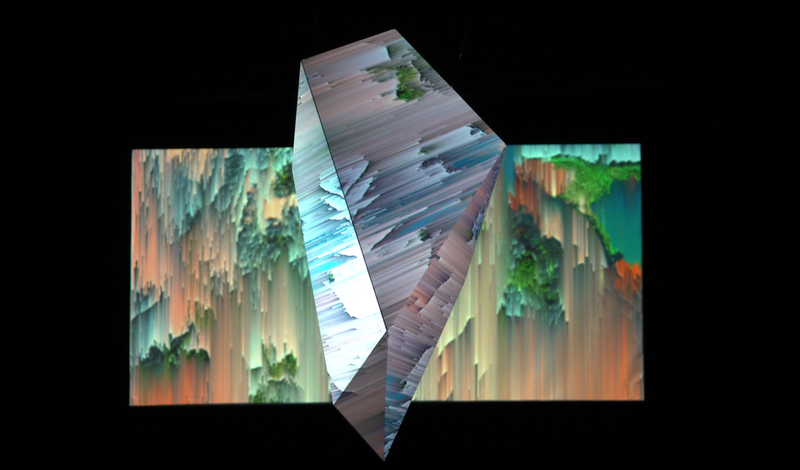 The video content explores the structures of natural landscapes. 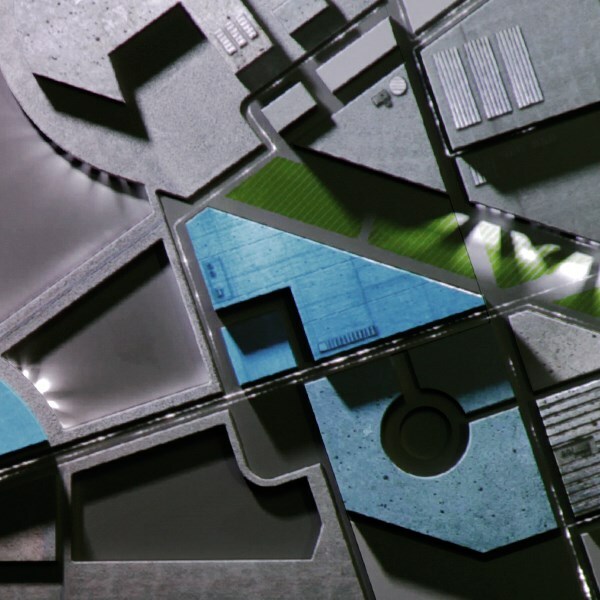 It moves from distant aerial views into the very details, until the landscapes finally dissolve into abstract patterns and colours. 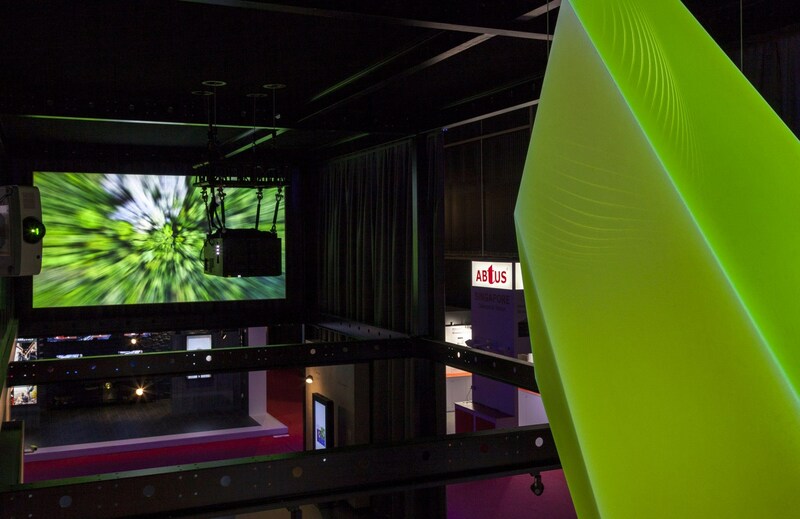 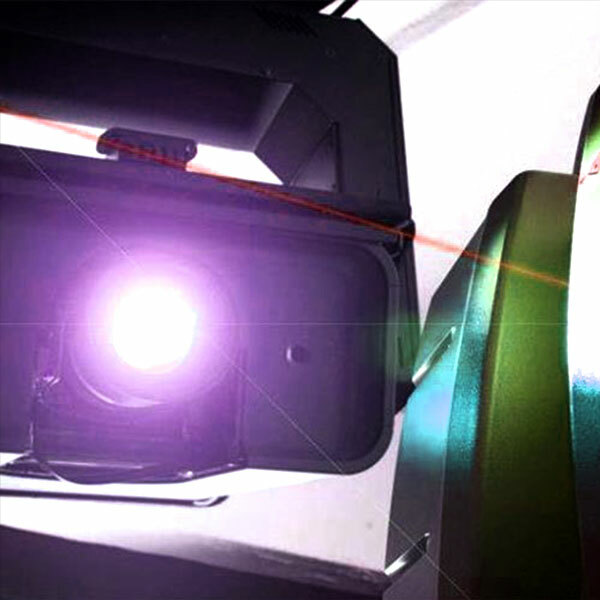 The interplay of real-life footage and abstract video animations illustrates how modern imaging technology has mastered the task of displaying the beauty of nature while it demonstrates the remarkable imaging qualities of NEC’s projector range. 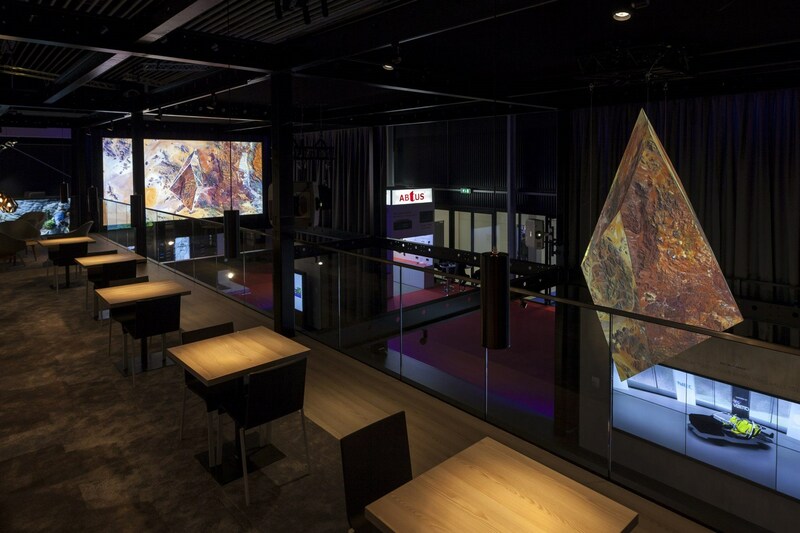 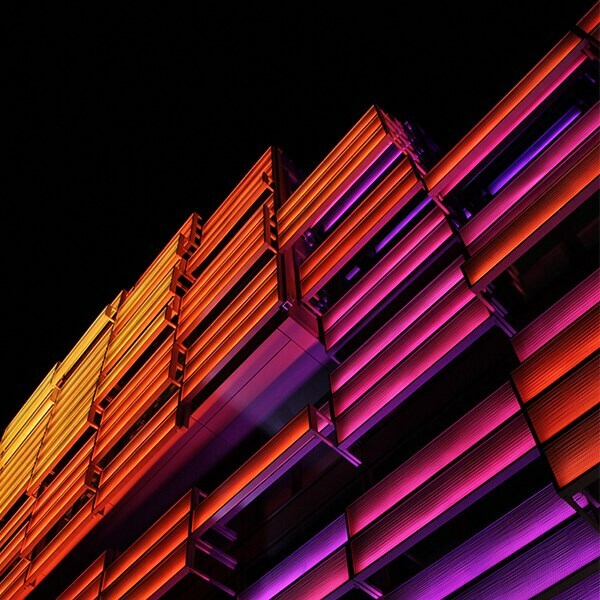 At the same time, the extensive installation is an integral part of the booth design as its shifting colours, brightness and animation speed subtly influence the spatial atmosphere. 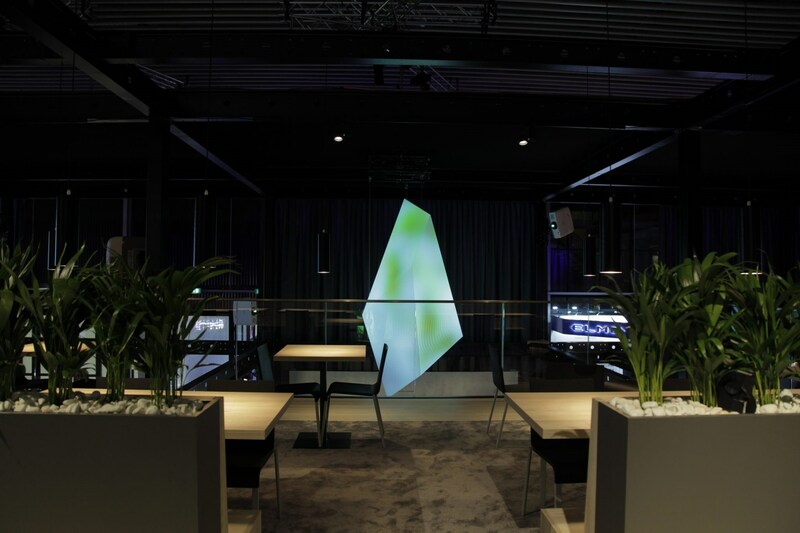 A big thank you to NEC for this trusting and inspiring cooperation!